The aliens are here to destroy it all! We need you, brave caveman, to save this prehistoric world. If you are good enough and you think this challenge is not stronger than you, go ahead! Or team up with up to 3 of your friends and enjoy this 4-player co-op madness as you work together to set your world free of the invaders as you advance and discover new striking places. 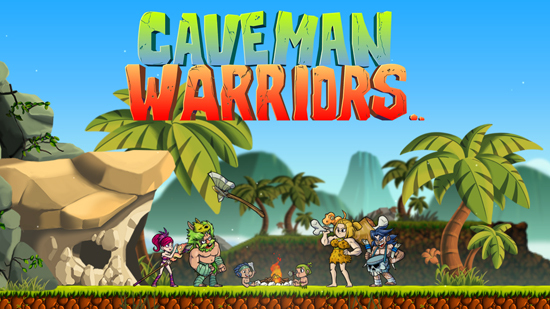 Embark on the adventure of Caveman Warriors by choosing between Jack, Brienne, Moe and Liliana as each hero has different attacks and abilities that are the key to solve specific situations of this journey. Experiment with them all to advance through our beautifully crafted 2D levels and beat the crap out of these crazy enemies. Fight dangerous and unique bosses and prepare yourself for the unexpected gameplay twists that will require the best out of every caveman! Different playable characters: Choose one of the playable characters, but don’t worry! You can change your character at anytime in the game and play with all of them! Varied Enemies: Each level has different enemies, watch out as they can catch you off guard. Secret Levels: Unlock secret levels inside the game to experience a bigger adventure!